I have been representing cyclists since 1981, when I tried my first case representing a cyclist. I am proud that I continue to represent and advocate for cyclists both in collision claims and in advocacy law suits for bikelanes, bicycle accommodations, better bicycle facilities and the rights of people on bicycles to use the roads the same as people in cars. 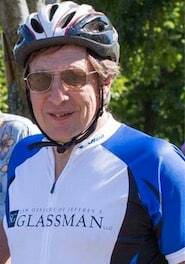 I represented bicyclist Eli Damon in the landmark case of Damon v. Hukowicz, where the Court’s lengthy findings established that the rights of a cyclist are the same as those of a motorist, and that a cyclist need not be relegated to the shoulder when it is unsafe, but may take the whole lane of travel when safety so requires. In my 36 years experience as a trial attorney, I have tried dozens of cases to jury verdicts in both state and Federal courts. As a cyclist myself, I am aware of the hazards of competing with motorists for our fair share of the roadway. As a lawyer, I am equally aware of the prejudice bicyclists face from both judges and jurors when bicyclists seek justice under the law. I have recovered numerous six figure settlements for cyclists hit by cars and for cyclists who have been the victim of roadway hazards and construction or faulty products. As part of Bikeattorney.com I enjoy the challenge of solving legal and practical problems of bicyclists, whether the problems are large or small, whether dealing with a severely injured crash victim, a defective bicycle or bicycle part, a bicyclist harassed by the police or a bicyclist who is a victim of road rage. I am active in the Bicycle Litigation Group of the American Association of Justice, a former president and Board Member of MassBike, a former member of the Brookline Bicycle Advisory Committee and an active member and supporter of the League of American Bicyclists, Bikes Not Bombs, Livable Streets, and the Boston Cyclists Union.